A few weeks ago I wrapped up a nine month long leadership training program sponsored by my churchh and taught by International Teams, a global non-profit missions group focused on integrated community transformation. Our church was the guinea pig for this pilot program, served via an asynchronous learning model. Participants were grouped into small cohorts and assigned a facilitator. Course materials were published weekly on Moodle, weekly cohort discussions took place on Moodle, and cohorts met in person (or online, each cohort had a choice, mine couldn’t agree on one online chat platform, so we met in person) every few weeks to go over a group discussion exercise. The lessons that spoke to my leadership and teamwork needs the most were those focusing on Bill Benjamin’s teachings on emotional intelligence. I had never heard of Bill Benjamin or the term “emotional intelligence” prior to this course. He is a world renown speaker, so many of you may already be familiar with him. But since his teachings were new to me, I thought I would share some of the highlights here. Bill Benjamin, who has degrees in mathematics and computer science, discusses the brain science behind emotional intelligence. In these videos — publicly available on Vimeo, so I don’t mind sharing these course materials — Benjamin explains the role of the amygdala, the part of our brain that handles our emotional responses — particularly our negative emotional responses. 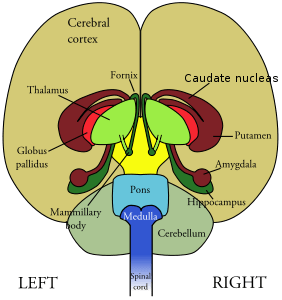 The amygdala resides in the our Limbic system, whereas our Cognitive system holds our IQ, executive functioning, working memory, and thoughts. Our brains are wired to feel before we think. Benjamin argues that our brains experience an amygdala hijack when our emotional systems respond and we aren’t thinking clearly, which triggers the fight or flight response. Physiology and Neuroscience – Part 1 from International Teams on Vimeo. Physiology and Neuroscience – Part 2 from International Teams on Vimeo. Benjamin did not coin the term emotional intelligence, but he is considered one of the authorities on this topic. Some of his other videos in this series reference a Harvard Business Review study (partially available online for free; full version available via library or personal subscription) as a critical groundbreaking work on this topic. Harvard Business Review credits psychologist and former science journalist Daniel Goleman with bringing this term to a wide audience in 1995. The Five Components of Emotional Intelligence At Work. Imaged used under fair use, courtesy of Harvard Business Review online. I do have more from Benjamin to share, including tools he teaches for building your emotional intelligence, but will save that for another post. I think this is enough to ponder on for now. In the meantime, take this fun interactive quiz from the Institute for Health and Human Potential — the organization with which Benjamin works — to test your own Emotional Intelligence. I rated at a slightly above average EQ, but then, from taking this leadership course, I know I still definitely need to grow in this area. Goleman, D. (2004). What Makes a Leader? Harvard Business Review, 82(1), 82–91.